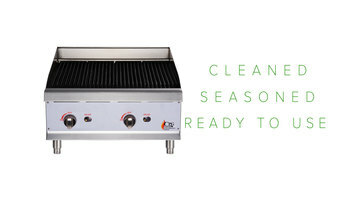 Getting your brand new charbroiler cleaned, seasoned, and ready to use is easy! A properly seasoned charbroiler will produce better tasting food. Plus, it will last longer, resist rusting better, and be easier to clean. Follow these easy steps to season your charbroiler. After you’ve uncrated your charbroiler and hooked it up, it’s a good idea to wash the exterior with a mild detergent. Next, light all the burners and leave them at the maximum setting for 30 minutes. 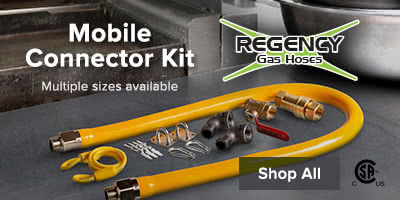 This will burn off any oils, dust, or protective coatings from the shipping and manufacturing processes. After the grates have cooled completely, you’ll want to season them to prevent sticking. First, coat the grates with a high-heat cooking spray or oil like Canola oil. It’s a good idea to wipe them with a paper towel or cloth to make sure you have them covered evenly. Next, turn all your burners on high and leave them on for 30 minutes or until your charbroiler stops smoking. Turn off the burners and let the unit cool off. Now your charbroiler is seasoned and ready to use! Unpacking, cleaning, and seasoning your charbroiler is easy! Follow these simple steps, and you’ll be grilling up savory burgers and fish fillets in no time without the hassle of sticky grates. The Garland / U.S. Range C836-36A liquid propane charbroiler is perfect for a busy kitchen. Built on a spacious, low-profile 36" chassis and operating at 148,000 BTU, this charbroiler combines ample cooking space and power while sacrificing minimal floor space. Featuring a durable stainless steel front, side, backguards, and cast iron radiants, this charbroiler is a high performance piece of equipment designed to hold up to consistent heavy use. The C836-36A includes a standard oven with stainless steel interior and porcelain bottom for supreme durability and easy cleaning. The oven is complete with 4-position rack guides to perfectly position your food for even cooking. It has a 150-500 degree Fahrenheit thermostat control and a 100% safety oven pilot to protect your kitchen. 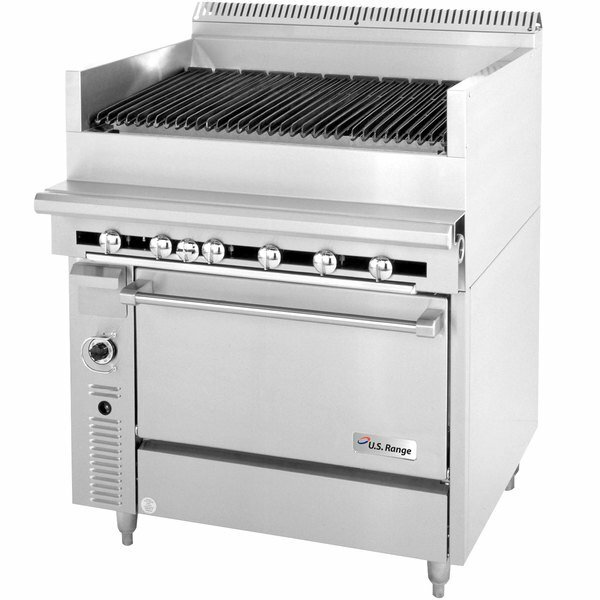 This charbroiler can be connected individually or in a battery and includes chrome steel adjustable legs to match the height of your existing equipment. Front to Back: 37 7/8"
This unit comes with a 1 1/4" gas connection.